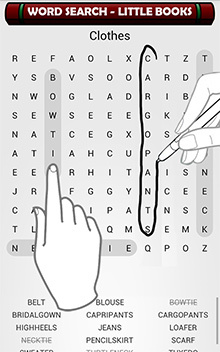 Word Search Little Books is the best free word search game available for iPad, iPhone, Android, Windows 8, Windows Phone, and Kindle Fire devices. Word Search Little Books keeps track of your progress across numerous puzzles and books so you can pick up right where you left off anytime. 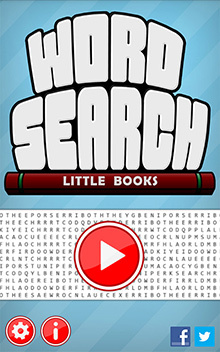 With new puzzle books being added all the time, Word Search Little Books sets a new standard for digital word searches. 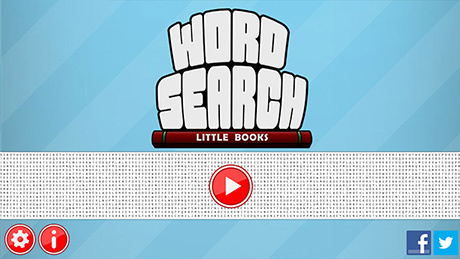 Check out Word Scramble Little Books, the sister game of Word Search Little Books. Play thousands of unique word scramble and jumble puzzles on your favorite device! The word find puzzles in Word Search Little Books aren't just randomly chosen words - they are fun and interesting topics including: 80's movies, video games, music, and comic book characters just to name a few. The funnest part of doing word search puzzle books is being able to jump between pages whenever you want. Word Search Little Books recreates this same feeling by organizing puzzles into books, and showing your progress at every level. 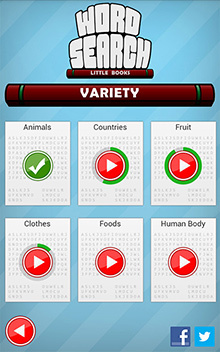 Word Search Little Books was created by a single independent developer. Please show your support by telling your friends and family about Word Search Little Books! Great graphics - for all form factors. New books are always in the works. Pick up where you left off anytime. Support for both touch and stylus*. Great graphics for all form factors - including iPad and Microsoft Surface! 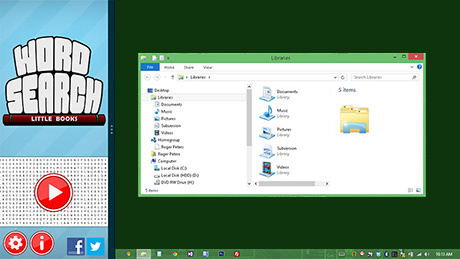 Support for Windows 8 snapped view - play while you work. 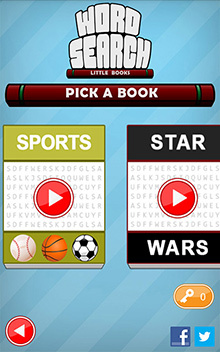 Word Search - Little Books was created by @SmartyP of SmartyPantsCoding.com.